We are proud to present to you our specially designed and unique seminars on annual national budget, GST, finance and SMEs issues. Check out our events and call us for more details. 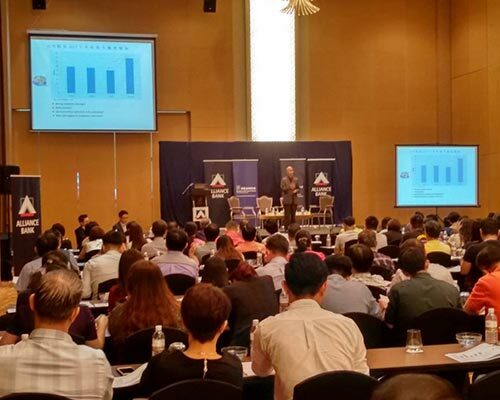 Excellent talks and over 800pax attended in KL, JB and Penang Session this year! We can’t wait to meet our participants again in 2019@10th Anniversary! Please get ready yourself to be invited as our special guest! Goods and Services Tax (GST) Rules and Regulations are constantly updating from time to time. Submitting GST returns without understanding the up-to-date Rules and Regulations may result in costly penalties. 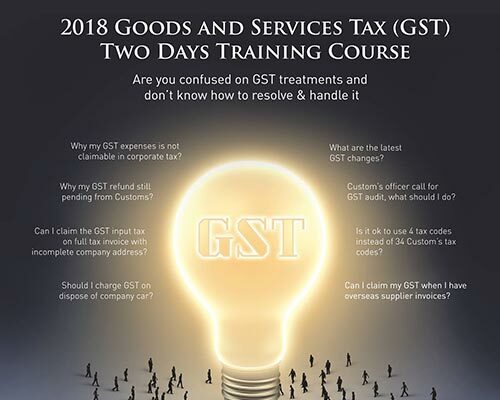 This course addresses the recent GST developments and practical issues.